Integrative medicine focuses on the whole patient, helping children balance their health and wellness as they get older. 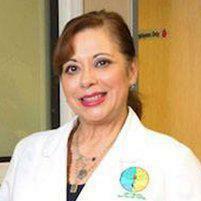 At Optimal Health Care Center in Los Angeles, Dr. Martha E. Rivera offers integrative medical care custom-tailored to each child’s unique needs for optimal health and wellness as they grow. Integrative medicine is a specialized approach to health and wellness and medical care that takes the whole patient into account, treating not just the symptoms or the immediate underlying cause of those symptoms, but taking into account the patient’s whole health including all the factors that can contribute to or cause those symptoms. Integrative medicine doctors understand the organs and systems of the body are interrelated and interconnected and seek to provide care to optimize these connections for better health and wellness. They also understand that treating one issue may have an influence on other aspects of health. An integrative medical practitioner is skilled in different approaches to medicine, including both traditional Western medicine techniques and treatments used in alternative and Eastern medicine, enabling patients to have access to the broadest array of care options for their specific needs. How Can Integrative Medicine Help My Child Enjoy Better Health? Integrative medicine takes the child’s whole health into account, including both physical and emotional aspects, to help each child get the individualized care he or she needs to grow and development properly. Children of all ages, from newborns throughout the teen years, experience significant changes, most of which involve multiple systems of the body. Integrative medicine helps children face these challenges and enjoy the best possible health by keeping the body in balance. What Does Integrative Medical Care Involve? One of the advantages of an integrative approach to medicine is that it can be highly customized for the individual patient’s needs. In pediatrics, that’s especially important since children’s medical and health needs can vary so dramatically during their growth and development. Care includes “traditional” physical exams, testing and immunizations, as well as nutritional counseling, lifestyle guidance, and other treatment approaches aimed at helping each child enjoy optimal physical and emotional health, while also providing education and information so children can learn how to make healthy decisions as they grow.